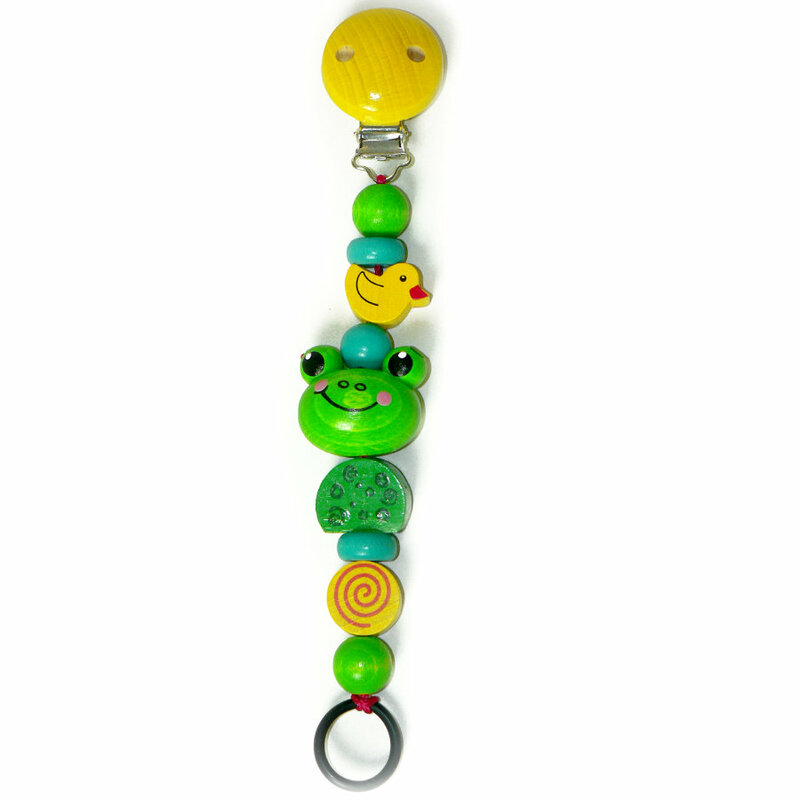 This colourful soother chain keeps soothers with and without ring safely in range. Simply place the sling around the soother and pull it tight. Check entirely and thoroughly before each use. Dispose of at first sign of use, defects or damage. Never elongate the soother holder! Never attach it to belts, strings, or loose parts of clothing. Your child could strangle themselves. Do not use the soother chain when putting your child to rest or to sleep.